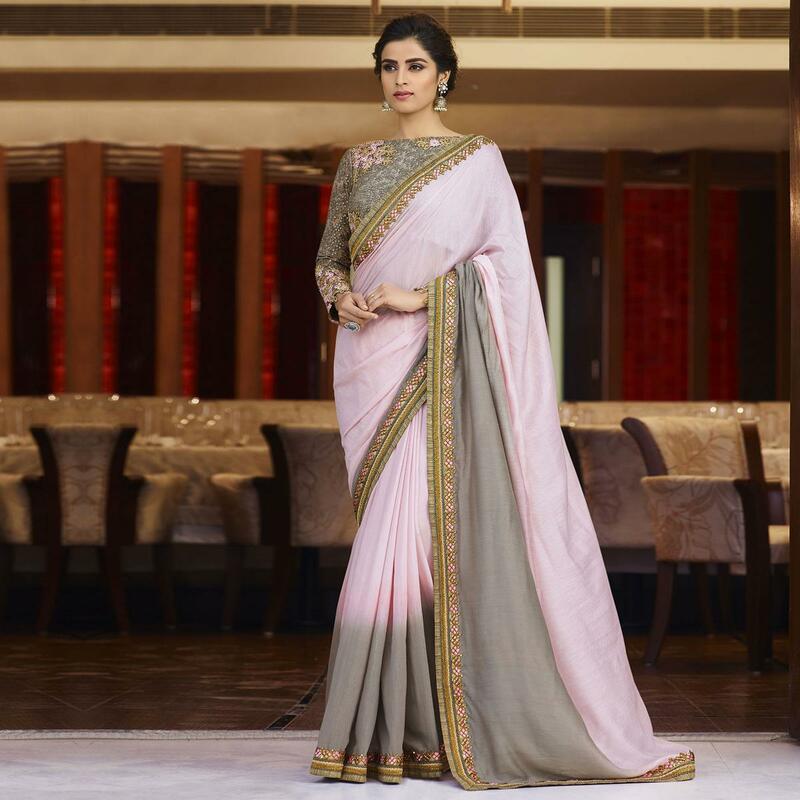 Steal the heart's away with this pink - grey colored designer saree. The charming heavy zari resham embroidery with stone & lace border work substantial characteristic of this attire. 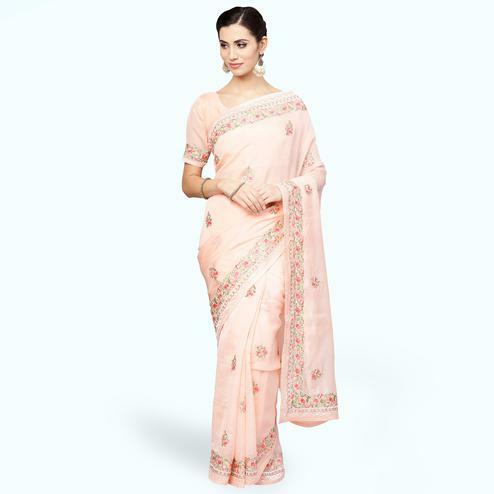 This designer saree is an ideal attire to upgrade your wardrobe for special occasions like wedding receptions & sangeet function. Accompanied with an art silk & net fabric designer blouse.